Action Figures, Statues, Dolls, Toys, No stupid Legos Thread. School is back, traffic is worse and it's still stupid hot. I think I need to play some more games. Perhaps something that's not new and shiny. I give myself about 50/50 odds that I succeed. If you're interested, m0nk3yboy, has the 12 month 2018 pile plan thread over here. A quick reminder, in order to be considered "Pile of Shame" the game needs to be at least three months old. Otherwise, it's just a new game you haven't gotten to playing yet. Also, if you are curious about some of the previous threads, Picks of the Pile, etc... Please go here and check out the spreadsheet I setup. Let's get on to the games! "Tales from the Borderlands is a five part episodic game series from the creators of The Wolf Among Us and The Walking Dead: A Telltale Games Series. 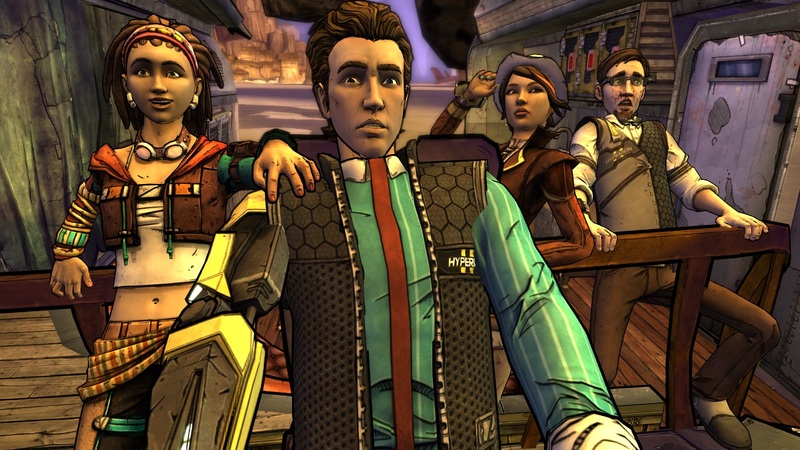 Set on the unforgiving world of Pandora after the events seen in Borderlands 2, this is a story full of Borderlands’ trademark humor, following two adventurers on their quest for greatness. I made it to the final boss of Yakuza 2 with half of my health and no healing items. I gave it a few tries, tried again on easy, and could not get it done. I don't want to go through an hour of combat and cutscenes to try again, so I'm going to call it done and watch the end on YouTube later today. Not a huge fan of the combat and I hate the quicktime events in the game, but the story was fun, and some of the side quests were hilarious. Well, in news that should surprise no one, I didn't finish a single game of those declared - or any other games, for that matter. Having two new puppies and getting some extra work have put a dent in my gaming time. I did progress quite a bit, so I'll be carrying all of these over for the end-of-the-year thread. Didn't finish Aliens vs Predator (not surprising), but will carry it over. I remember why I bounced off it 20 years ago - death comes far too rapidly. I'm determined though. Alien campaign done and most of the way through the marine one as well. Only Predator left after that. Do we have an End-of-Year pile thread up yet? As usual, my search skills are lacking hehehe. EDIT: And now I see it. Sweet.